We’ve all heard the saying, “It takes a village to raise a child” and the Boys and Girls Club of Northern San Mateo County really takes this serious. 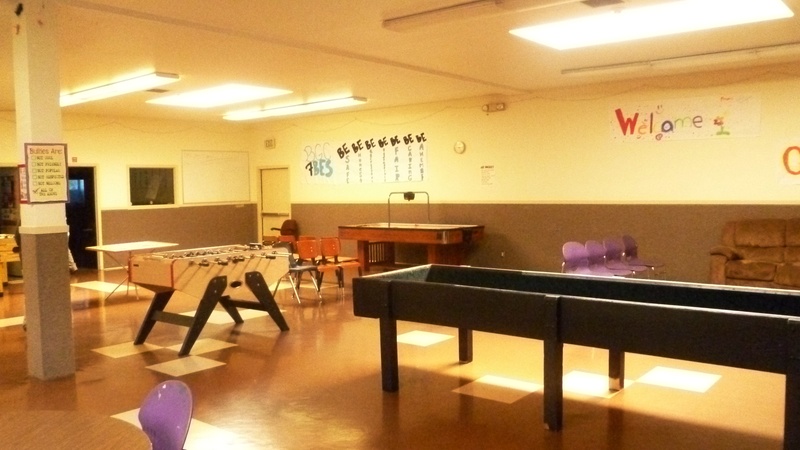 The three club locations in South San Francisco and two in Pacifica provide a safe place for our youth ages 6 to 18, allowing them to participate in structured and stimulating activities outside of school hours. 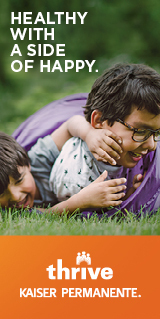 The multiple opportunities offered, combined with the extensive partnerships fostered by the BYCNSM, create the foundation that helps us raise our children. The upcoming annual Lobster Feed is partnered with the South San Francisco Kiwanis Club with the purpose of monies going to help fund The Club’s scholarship programs. This event sells out fast with the ticket deadline quickly approaching September 15 so be sure to check out the information below. The Lobster Feed is only one of the many events put on by our local Boys and Girls Club with the weekly BINGO games being one of the major ongoing fundraisers. The Club relies heavily on the generosity of Genentech, Kaiser Permanente and The Packard Foundation which is a great reward for the extensive grant writing that the club does. Other local company’s partner up for specific events or programs such as Torani, South San Francisco Scavengers Company, and Staples to name a few. Volunteers, both behind the scenes, and those that work with the kids on a one to one, make up one of the most valuable assets and more volunteer opportunities are available by contacting The Club. Each clubhouse will have different activities yet each one makes education a priority. The after school homework help and the computer labs offer kids of all backgrounds equal footing in the highly competitive world of education. Respect, for themselves and for others, is reinforced by the 7 Bes, a code they live by; Be Safe, Be Honest, Be Respectful, Be Responsible, Be Fair, Be Caring, Be A Member. In this day and age of bullying, kids can find a safe place here and appreciate that sense of respect and most of the kids get it, and seldom are any banned for not complying with the golden rule. Recently I enjoyed a tour by Executive Director Sharon Dolan at the Orange Avenue Boys and Girls Club which has been around since the 1960’s providing a home away from home for our local kids. It has been several years since I visited beyond the main room and the transition over the years to keep pace with the world we live in was most evident in the Computer Clubhouse, a program run by Mr. Sidney Irvine. In this room, state of the art equipment was displayed and a few youngsters were busy at work, securing their workspaces before the crowds came rolling in at 3pm. Sidney introduced me to a young girl around 8 years old who introduced herself as Katie. When I asked her what was her favorite computer program I was pleasantly surprised to hear her reply Photoshop followed by the Paint Program. Although she was relatively new to the Computer Club she was grasping the concepts and finding projects to create works of art which hopefully will be added to the collage of work done by other Computer Clubhouse members that is proudly displayed on the outside wall in the main room. Sidney was extremely proud of the other programs he coordinates which include video photography and a sound room for music recording. The addition of a newly founded DJ’ing program further shows the forward thinking of the club to keep kids interested and engaged. This is yet another example of great partnerships with the community at large and more specific to INTEL for a $25,000 grant that helped them upgrade the Computer Clubhouse. The Club was also recently awarded $35,000 from Kaiser Permanente. 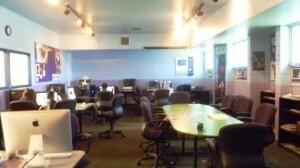 The Learning Center is used during the school hours by the high school students that were recently transferred from the old Foxridge School after they were expelled from other local high schools. This is another win-win situation because it utilizes The Clubs Learning Center during quieter hours and adding another source of revenue of $15,000 from the South San Francisco Unified School District. The fact that the location of The Club is more centralized to our students underscores once again the vital part The Club plays in our ‘It Takes A Village’ philosophy in how they work to see our youth educated and respected. It was most heartening to see some of these older kids remain after their school hours and volunteer to help the younger kids in the gym. This really is a place that kids can be encouraged to excel and flourish when other options don’t always work; to gain a sense of pride in stepping up and having daily ways to make a positive difference. Reading by third grade is a main focus at The Club and as Dolan explains, you learn to read, then you read to learn and The Club is dedicated to seeing literacy in all our children. After regular school hours The Learning Center is open to students of all ages to use computers for homework assignments while supervision is nearby. The center was recently renamed The Elliot Fischer Learning Center in honor of a special man who volunteered for over twenty years to help our kids learn to read, to complete homework projects, to be a mentor in their lives. His volunteer services extended to sitting on the Board of Directors and taking on the position of Treasurer. *The main room houses quiet reading nooks, foosball, air hockey, and loads of other activities to keep kids of all ages engaged and directed. Physical activity everyday is another living goal at The Club and it was good to see so many kids using the gym immediately after school, playing ball, running around, getting exercise and laughter complete before settling down for homework. Many programs are offered here and the upcoming Fall Basketball season is just starting up with registration ending on September 14. I was excited to hear that South City resident Elizabeth Morehouse was now the Program Assistant at the Pacifica Club House. Moorehouse created a simple, yet very effective, physical activity program while volunteering at Sunshine Elementary School that got everyone up and walking and which is how the Mileage Club was born. To date walkers have clocked in thousands of miles and continue to keep moving. It is the simple brilliance of people coming together to find creative solutions that make The Club, and our village, work. There is so much to explore even at just this one location and you realize the depth of dedication this organization has to our community. The current officers of the board include South San Francisco Councilmembers Mark Addiego, Pedro Gonzalez, and community members Robert Mulvey, and Jack Helfrich. They, along with the Boardmembers and all that contribute to this institution, are to be commended as are those who have worked tirelessly for years to create a safe environment for our kids. Listening to Dolan beam with pride as she showed off all that The Club offered made me realize the beauty of The Club; it is able to be flexible enough to shift into whatever the local communities need and permanent enough to retain the values that were core to the foundation of the club back in 1860. Now that is a village that works. ← BEE Aware of Zombee’s!